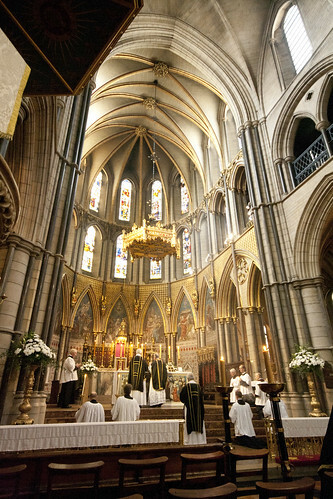 Prince Rupert was a benefactor of the London Oratory, as of many charities, and it was appropriate that his funeral took place there. Since he was for 11 years the honorary President of the Latin Mass Society (a post which no longer exists), and since then and until his death was our Patron, we wanted to do something for him as well. The custom of the 30 Days' Mind was a good opportunity: a Mass of Requiem on the 30th day after either death or burial. Ours was in fact 31 days after his death. 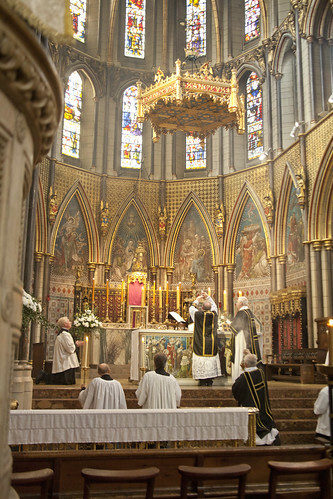 The Church makes special provision for this, giving such Requiems a higher 'class' than others: that is to say, they can be said on most saints' days. It took place last Saturday in St James' Spanish Place. It was accompanied by the choir of the church, who were superb. 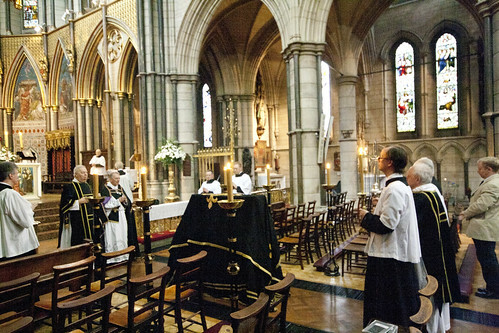 They sang Victoria's Requiem, including a polyphonic setting of the texts sung at the Blessing of the Catafalque. 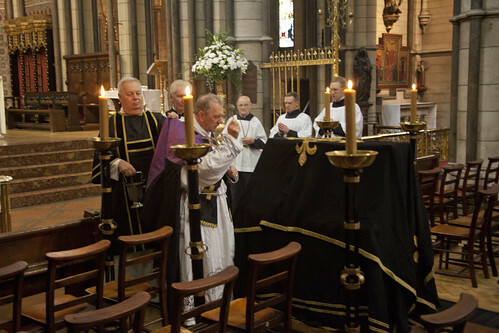 The Catafalque, which can represent the deceased if the body is not present (ie, it is not the actual funeral), was blessed with holy water and incense. 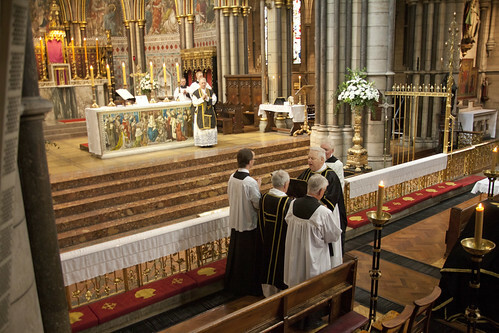 The whole thing was very moving, and I am delighted we were able to do this for Prince Rupert, a truly splendid Mass with first-rate music, both which he would have appreciated, celebrated by Fr Anthony Conlon, a priest he knew well over many years. Anyone who wants to organise a Traditional Requiem for a loved one will find much practical guidance in our Funeral Booklet, which can be downloaded for free here; hard copies are available from the office.